SAN DIEGO, California -- July 05, 2012 -- Mahjong Time today announced that it has teamed up with Mah Jongg Madness to provide online players with officially sanctioned Global Mahjong Tournament (GMT) Master Points® events. Mahjong Time’s Global Mahjong Tournaments are are four-hour-long events ranked in an official competitive environment using the Global Mahjong Tournament Ranking system (GMTR). With the official sanctioning of American Mahjong GMTs by Mah Jongg Master Points®, winners of these events receive one Master Point, which raises their rankings in the Master Points system. The Mahjong Master Points® system was developed by Mah Jongg Madness, which has been conducting American-style Mahjong tournaments for over 26 years. Led by Mah Jongg Grandmaster and activist Gladys Grad. Mah Jongg Madness has had a longstanding reputation of prestige and close-knit community, which attracts hundreds upon hundreds of mahjong enthusiasts to its live tournaments. 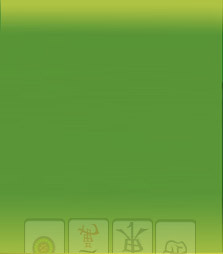 Master Points sanctioned Global Mahjong Touraments will be available at Mahjong Time on 07/28/2012. Over 26 years ago, Mah Jongg Madness (MJM) conducted its first National MJ tournament Cruise Tournament in cooperation with the National Mah Jongg League. Specializing in three-day tournaments, tradeshows, and week-long cruise tournaments, MJM has set the standard in professionally conducted MJ events. Founded in 2004, San Diego-based Mahjong Time is the premier provider of online and mobile multiplayer mahjong software and complete turnkey solutions. The Mahjong Time in-browser, downloadable, Android, and iOS platforms provide eight different mahjong rule sets that appeal to the needs of discerning players worldwide. Offered features include advanced subscription, tournament play, and Web 2.0 capabilities which allow players greater connectivity, including the ability to establish friend networks and to create private game rooms.